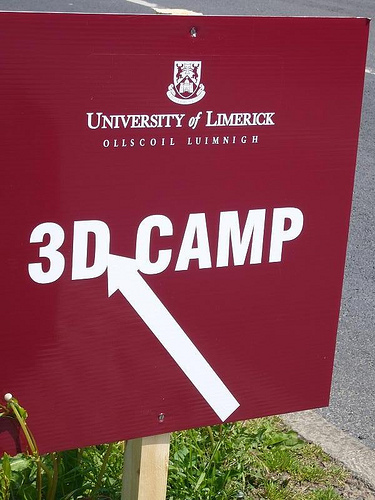 Here are my 3Dcamp slides, which, had I not been thwarted by Limerick Munster match traffic would have presented, giving a background to second life activities. I was fortunate to participate in the plenary panel though, which was a great discussion of virtual worlds, of which I will put my notes up here asap. As mentioned in Limerick, we are holding an orientation day for our second life activities on the 28th June. Watch this space for times. (We hope to cover the UK and US Saturday afternoon time zones). So if you haven’t ventured into second life as yet – here is that opportunity and reason to do so. You will be greeted and shown around our projects and other interesting ‘builds’ within SL. We hope to engage a number of SL friends to show you around their (related) projects too. Maybe even end up with music and Guinness at the Blarney Stone! This entry was posted in comment, events, links, second life, virtual worlds, web2.0 and tagged 3dcamp on June 3, 2008 by martin brown. You are more than welcome – great to have met you.